The Climate Reality Leadership Corps, an initiative of The Climate Reality Project, hosted its 36th training in Pittsburgh on October 17-19. CMU Professor of Engineering and Public Policy and Co-Director of CEDM, Inês Azevedo, participated in a panel discussion on the future of energy systems in our region, how cities can combat climate change with innovative solutions and how others can steer decision-makers toward a more sustainable future, moderated by Heinz College Adjunct Professor Matthew Mehalik. 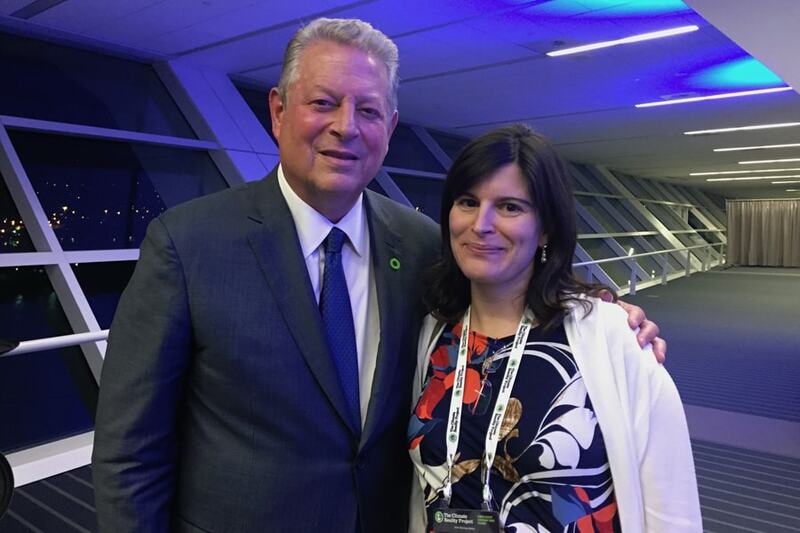 During the training, Azevedo had the great pleasure of meeting former U.S. Vice President, and Co-Founder and Chairman of The Climate Reality Project, Al Gore. This event was also mentioned in the CMU Piper.